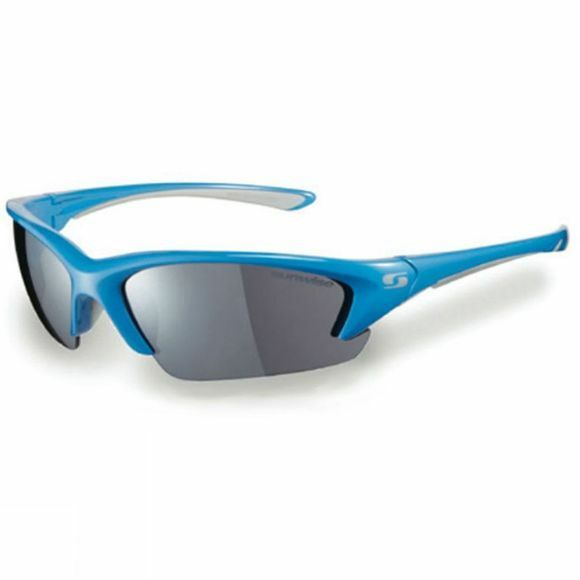 The Sunwise Equinox sunglass has a crystal indigo frame with light grey features. Smoke mirror, orange and polycarbonate lenses polycarbonate replacement lenses for all different types of light. These glasses are ideal for running, cycling and cricket.